This was the response by a senior government official, after a sigh, to a question on Tuesday about when Eskom foresees load shedding will end. Eskom's inability to keep the lights on, the country's businesses running and factories working is worse than initially thought – much worse. 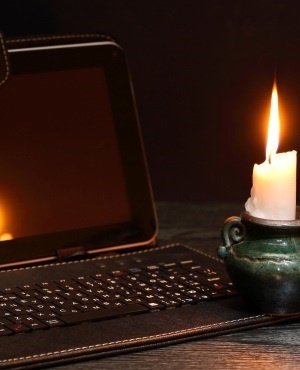 • Load shedding will now become a part of people’s everyday planning – the government has asked the public to adapt their lives accordingly – and there’s no indication when it will end. • Eskom’s ageing and collapsing power stations need billions of rand of running repair work while the country burned through almost R5bn worth of diesel over the last four to five months to keep the emergency power stations going. • There was a critical exodus of skills during the state capture period which has led to a dearth of experience and institutional knowledge. • Add to that an active resistance campaign inside Eskom against reform and restructuring by individuals and managers who were aligned to the capture regime under the former board, CEOs and ministers of public enterprises, and it shouldn’t be any surprise that South Africa cannot rely on a stable electricity supply anymore. Public Enterprises Minister Pravin Gordhan had to sell this message to the broader public on Tuesday, telling them that the scope of the problems encountered at Eskom is deeper, more acute and broader than was thought when the new board was appointed in January 2018. The plan was to bring the power utility’s myriad problems under control by the end of January this year, but the utility’s problems started compounding each other to the point where Gordhan, Eskom’s management and the board realised: This is worse than initially believed. Chairperson of the board Jabu Mabuza said at the press briefing that Eskom’s problems are structural, operational and financial – which pretty much covers the entire organisation. But deeper than that there seems to be three major areas of concern: maintenance, staffing and internal resistance. Eskom’s total electricity supply, the base load, amounts to 48 000 MW. The actual supply at any given moment however is much less, given the country’s total demand as well as generating units at power stations that are down for planned maintenance. In theory. In practice however poor levels of maintenance and poor planning over the last decade has led to power stations being run into the ground, at full tilt, while maintenance budgets have been reduced. This in turn has caused boilers to malfunction, pressure seals to blow and leaks in boiler tubing. And when these units crash it takes days to get it back online because it needs to cool off first before a repair team can start their work. The hope was that the new power stations, such as Medupi and Kusile, would be able to give the grid some breathing space in order to do the required maintenance on the older fleet. During the 2000s the availability factor – referring to how much of the base load is available at any given time – was at 85%. Today it is between 69% and 61%. Eskom is simply not producing enough electricity. Eskom has bled skills and experience over the last decade. Many who left were forced out during the state capture era, where senior engineers, technicians and managers refused to be co-opted by the capture project, officials say. These losses are so acute that Gordhan and Eskom has now gone to the engineering fraternity to ask for help and a joint Eskom-engineering team is now visiting power stations to assess the levels of skills. An internal investigation even showed that the average age of power station managers are in the region of 35 years with experience levels of between three to five years. Totally contrary to international norms and standards. Officials say the right skills aren’t readily available and where they are, they’re often deployed to the wrong place. Will those skills return to Eskom? Not while it remains an organisation that many professionals don’t want to be associated with. Eskom was ground zero for state capture. It is the largest of the state-owned companies and was repurposed by a succession of connected boards and ministers to serve the interests of rent-seekers and the capture cartel. Brian Molefe (the former chief executive referred to internally as “Papa Action”) and Matshela Koko (the former chief operating officer) took care in moving “their people”, as officials put it, into key positions at the utility, with many safely ensconced to this day. Their motivation to resist reform and change seems to be two-fold: one, to keep the networks of graft and patronage either safe and functional or hidden and sanitised; and two, to keep out of jail. Gordhan on Tuesday told journalists that there is more than enough information already for the National Prosecuting Authority to start their work and that he trusts the new national director of public prosecutions, Shamila Batohi, will do just that.